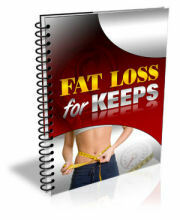 This web site is home for the ebook Fat Loss For Keeps: Diets Don't Work, which was written by me, Carolyn Hansen. I have added this page for those of you who would like to know a little more about me, and the reason why I took the trouble to put together a book on fat loss. After all, there are a large number of products on the market that deal specifically with this topic. So what made me think I could offer something to compete with all those other fat loss products? Well, I am glad you asked that question, because I want to tell you! Currently I operate a pair of fitness centers located in the heart of Whangarei city, and I spend a great deal of my time consulting with people in my gyms, and learning about the problems they face trying to stay in shape and maintain the right kind of diet - which, I will admit, always takes a certain element of willpower. Over the years I have also picked up certifications in the fitness training area, so in addition to dispensing advice to my clients I actually do tend to know what I am talking about! Back then, the prevailing ideas of the day about how to diet, and about how to train while both preparing for competitions, and during the off-season, were quite primitive (and often just plain wrong) compared to what we understand today about how our bodies work, and the optimal conditions and activities required to keep them fit and healthy, right up into our later years. 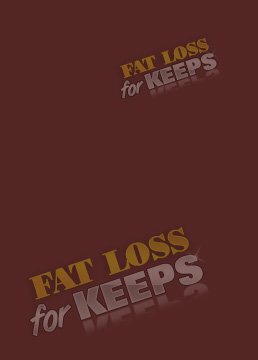 Fat Loss For Keeps is not the only product into which I have invested a good deal of my time and energy, and I am sure that there will be more down the road. The simple fact of the matter is that there is a certain degree of satisfaction I get just from knowing that others can grab one of my books and benefit immediately from the hard won successes I experienced only after years of hard work and countless days of writing off techniques that sounded promising, but which bore no fruit. It is the kind of feeling that I used to get simply by stepping onto the stage. © Copyright 2009-2019, Fat Loss For Keeps. All Rights Reserved.